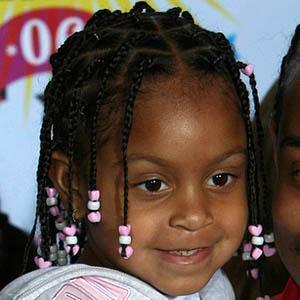 First born daughter of Chris Bridges, AKA Ludacris, who loves singing and dancing. She is an advocate for a greener earth. She has over 90,000 followers on Instagram. She attended the premiere of Fred Claus with Ludacris when she was 5 years old. She came up with the idea of Karma's World, an educational website with interactive content, and her father helped her website become a reality. She has two younger half-sisters, Cai Bella, who was born in December 2013, and Cadence, who was born in June 2015. She was featured in the Ludacris song "Tell It Like It Is."